At Baselworld 2016, watch brands presented a large number of new timepieces for women. Below, a selection of brand new models listed in alphabetical orders. A limited edition of just 60 pieces, the Ladybird Ultraplate marks the 60th anniversary of the Ladybird model, launched in 1956 as the smallest round watch at the time. 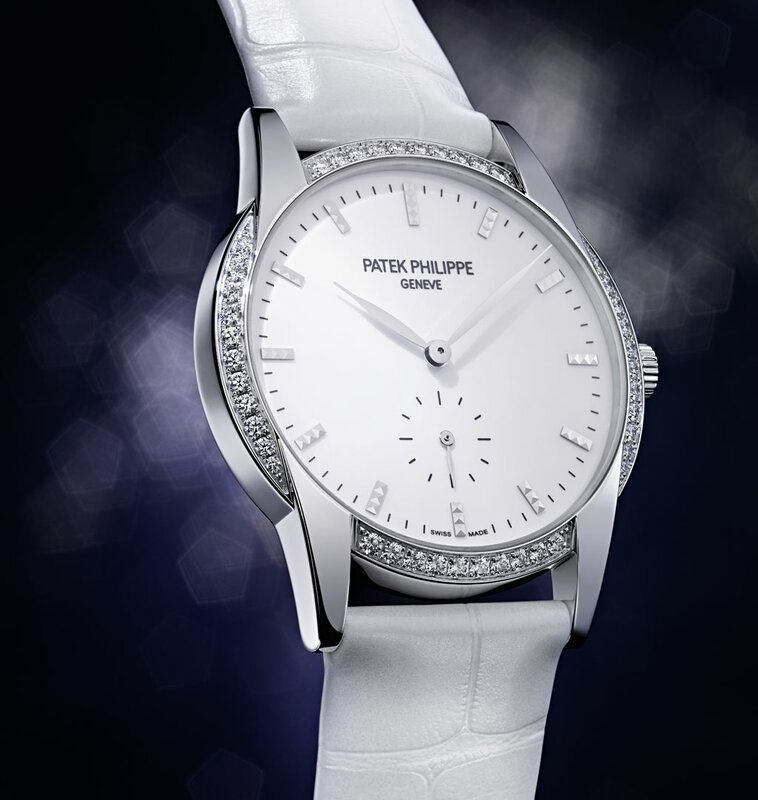 The white gold case has a diameter of 21.50 mm and it is circled by one row of diamonds. 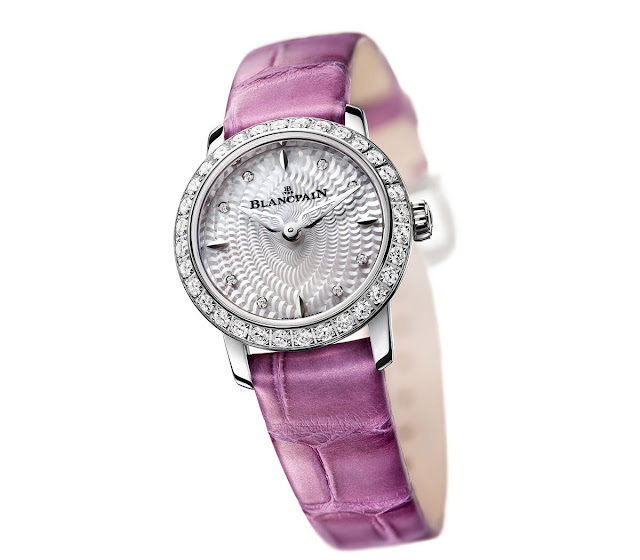 Diamonds are also used for the hour markers of the mother-of-pearl dial. The mechanical self-winding movement has a power reserve of 40 hours and it is visible through the sapphire case-back. In addition to the Classique Phase de Lune presented as a Baselworld preview, Breguet also introduced the Tradition Dame 7038. Housed in a white gold case with the signature fluted caseband and a bezel set with 68 brilliant-cut diamonds, the Tradition Dame 7038 shows the hours and minutes on a finely engine-turned Tahitian mother-of-pearl dial. These indications are discreetly complemented by the retrograde seconds engraved on the face of the self-winding movement at 10 o’clock. Another Baselworld novelty, the Reine de Naples Princesse Mini 9818 has a cambered ovoid white gold case whose bezel and lug are set with 64 brilliant-cut diamonds. 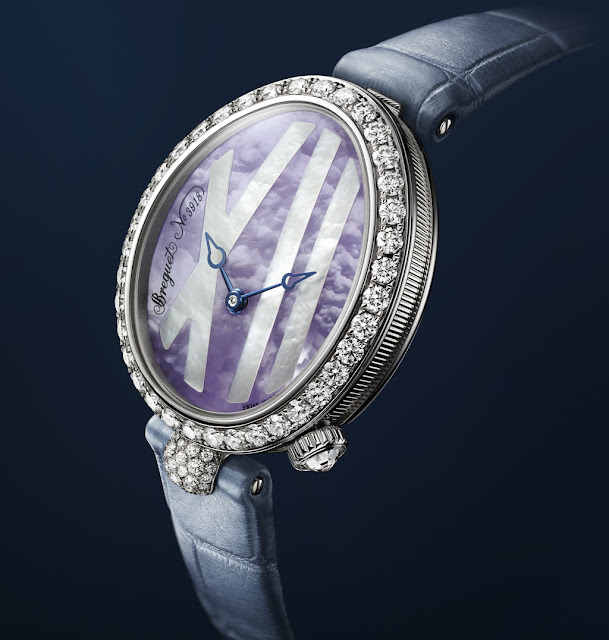 The individually numbered and signed dial, in lavender-coloured mother-of-pearl, features an offset hours chapter at 6 o'clock with Roman numerals in white natural mother-of-pearl marquetry and Breguet open-tipped hands in blued steel. The self-winding movement guarantees 38 hours of power reserve. At the beginning of March, we wrote about some of Bulgari's novelties for 2016 here. 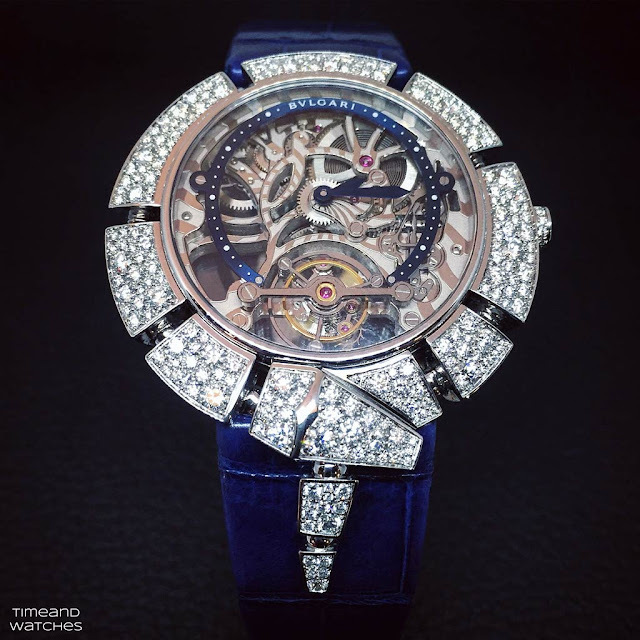 But there was more to come, like the impressive Serpenti Incantati Skeleton Tourbillon. Created in two limited series of 50 pieces in pink gold and 30 pieces in white gold, the 41 mm case of this model is set with more than two hundreds brilliant-cut diamonds and houses the Calibre 208, a hand-wound manufacture skeleton-worked tourbillon movement which also serves as a dial. 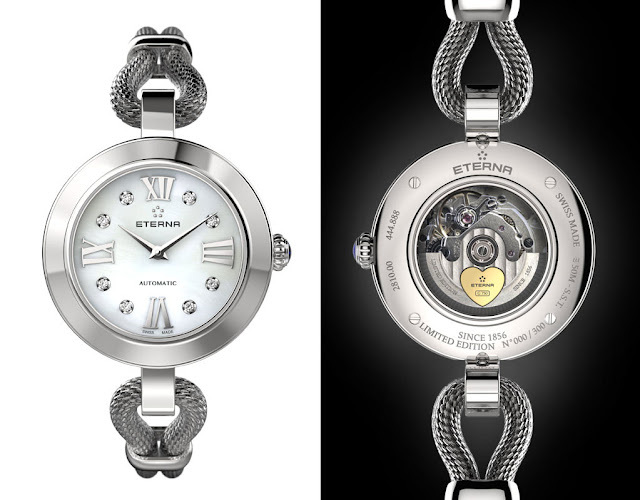 Together with the sporty Lady KonTiki Diver, Eterna showcased the Golden Heart, a reinterpretation of the highly successful Eterna Matic Golden Heart produced in the 1960s and endorsed by famous actresses like Gina Lollobrigida and Brigitte Bardot. The 30 mm round case frames a mother-of-pearl dial boasting 8 round diamonds and four stainless steel appliqués in the form of Roman numerals. The sapphire crystal case back displays the automatic movement with a special rotor decorated with a heart of 18-carat gold. The bracelet recaptures the fastener and cord style typical of the 1930s but it is made of plaited steel based on a Milanese mesh. Limited edition of 300 pieces. Presented in white and rose gold, the new Calatrava "Timeless White" Ref. 7122 introduces a new case design where the strap lugs extend into the circumference of the glass. The diameter is 33 mm. The 44 diamonds set into the quadrants are all graded rare white in the Top Wesselton category. The white lacquered and polished dial features printed minute scale, applied gold hour markers, and leaf-shaped hands. The movement is the hand-wound Caliber 215 PS offering a power reserve of 44 hours. 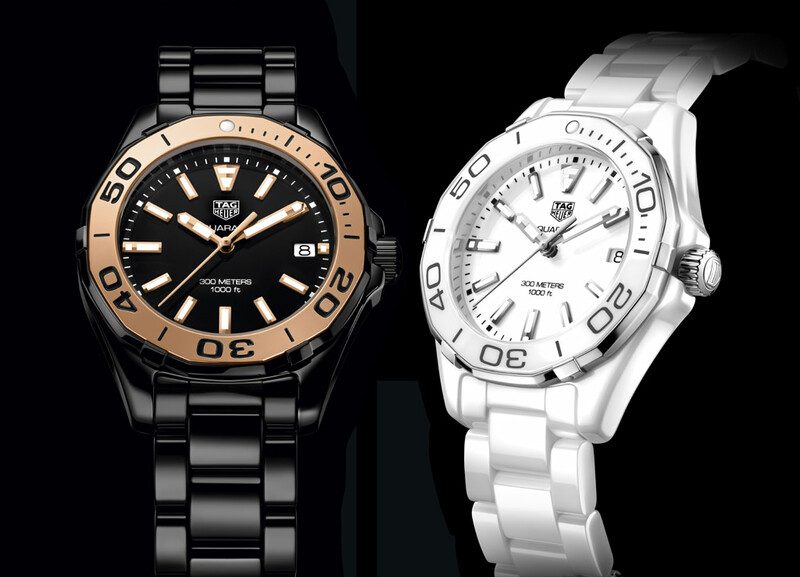 With the Aquaracer Lady 300M Full Ceramic, Tag Heuer launched its first collection of watches made entirely from ceramic. Either completely white or completely black and featuring a ring of diamonds or paired with rose gold, the new case - characterised by the uni-directional rotating bezel with twelve sides and six studs - has a diameter of 35 mm and houses a quartz movement. As the name suggest, the new model is water resistant to 300 metres / 990 feet. The new Elite Lady Moon Phase is available in five variations made of pink gold or stainless steel, with a diamond-set or polished bezel. The ultra-thin pebble-shaped 36 mm case - water-resistant to 50 metres - frames a mother-of-pearl dial graced with a star-studded deep blue moon disc and slender leaf-shaped hands. The back case reveals the automatic Elite Calibre 692 movement powered by an oscillating weight adorned with a "Côtes de Genève" motif. A selection of watches for Ladies from Baselworld 2016. Basel 2016 watches for women. Blancpain Ladybird Ultraplate. Breguet Tradition Dame 7038. 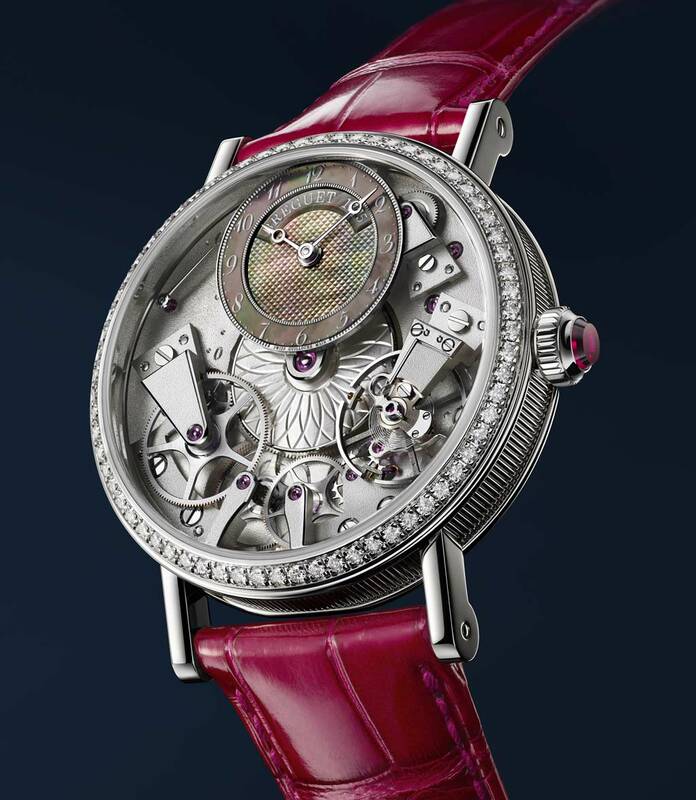 Breguet Reine de Naples Princesse Mini 9818. Bulgari Serpenti Incantati Skeleton Tourbillon. Eterna Golden Heart. Patek Philippe Calatrava "Timeless White" Ref. 7122. Tag Heuer Aquaracer Lady 300M Full Ceramic. 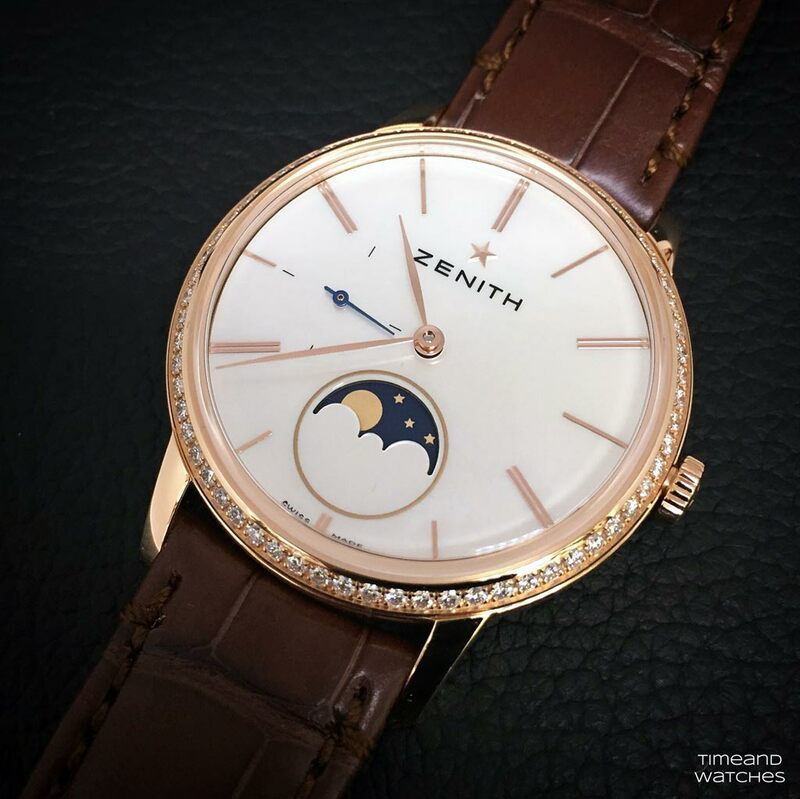 Zenith Elite Lady Moon Phase.